Ventera Ranch Chicken Parmesan — I Am Tired of Cooking! 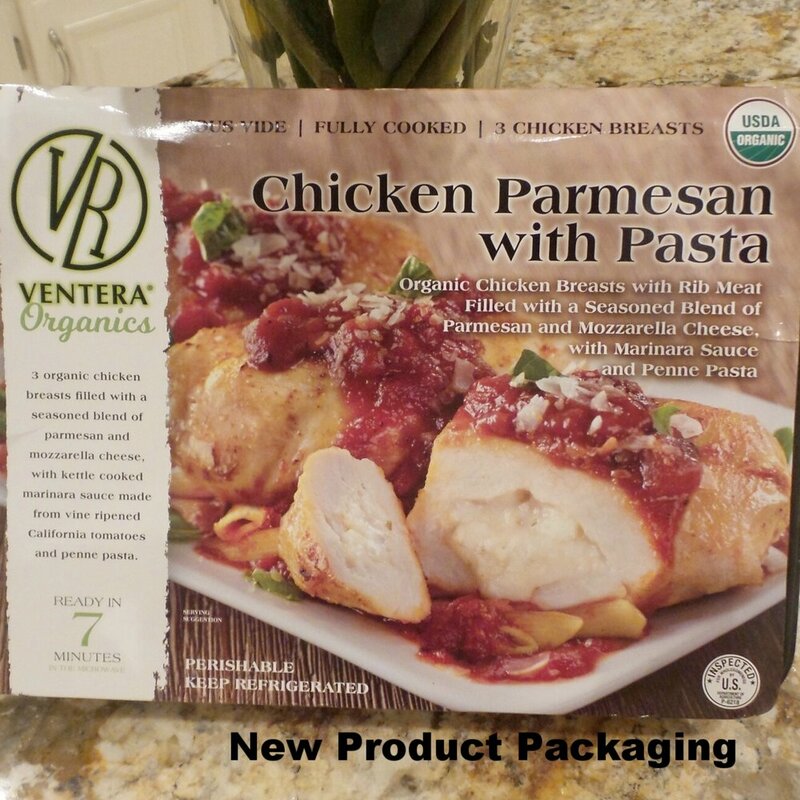 Update 11/13/2017 Ventera Ranch has changed the product packaging for their Chicken Parmesan to include "Organics." The heating instructions are the same, but the nutrition information has changed. See pictures of the new product packaging and nutrition information in the photo gallery below. 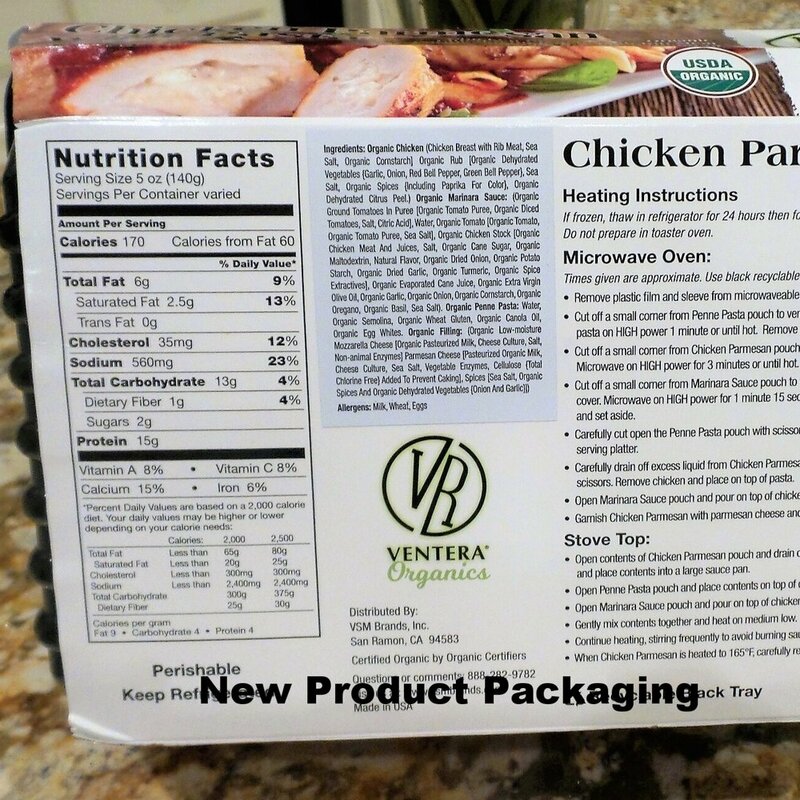 Ventera Ranch Chicken Parmesan is ready in a record 7 minutes! If you find yourself short on time for dinner preparation, this is the ready made food for you. Just add a bagged Caesar salad and you will have dinner on the table in minutes. The large chicken breasts are tender and filled with a blend of 6 Italian cheeses and herbs. The penne pasta is tender but firm. The marinara is robust and rich without being overpowering or heavy. The package states that the number of servings "varies," but I easily get 6 servings as I split the chicken breasts in half. Leftovers heat up well in the microwave at 50% power in 30 second increments to the desired temperature . It is sold by weight, with the price usually around $18.00. Add a bag of Taylor Farms Caesar salad for under $4.00 and you have dinner for 6 for about $22.00. 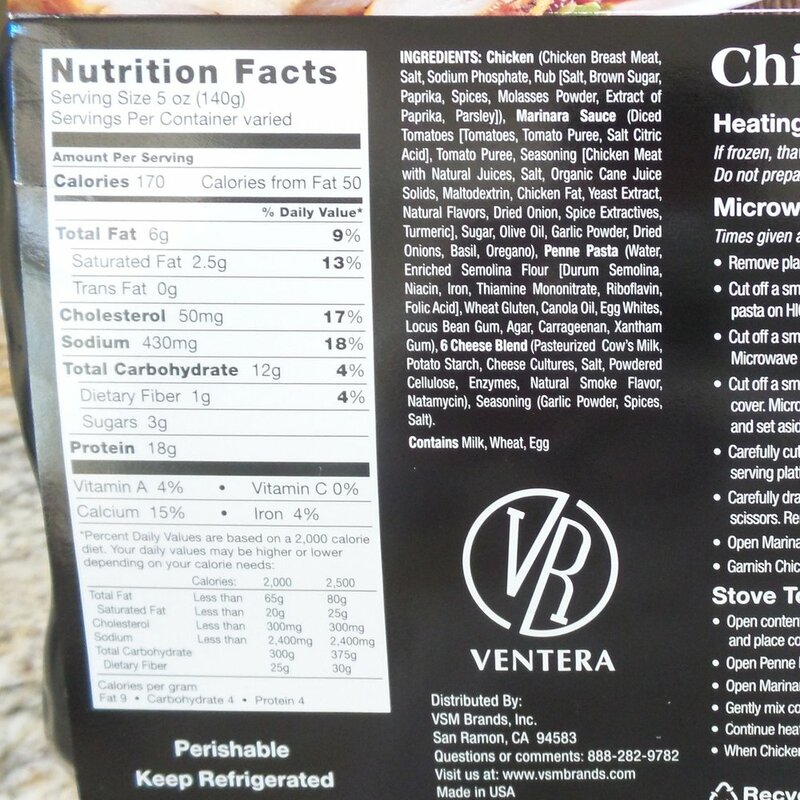 Ventera Ranch Chicken Parmesan is available at Costco.